The Nebraska Public Power District is planning to run a 220-mile transmission line through the fragile Nebraska Sandhills, a unique ecoregion that has traditionally spurned heavy development. In this piece for Planet Experts, I spoke to both Lynn Ballagh of the local Save the Sandhills movement as well as Tom Kent, the Vice-President and Chief Operating Officer for the NPPD. Depending on who’s counting, the ecoregion stretches between 19,000 and 24,000 square miles in circumference, or nearly one-third of the entire state. Perhaps most unique of all, the soil’s inability to support farming or other development has enabled it to remain largely undisturbed throughout North American history. The WWF estimates that as much as 85 percent of the sandhills are still intact. Altogether, the region supports roughly 720 species of plants, 314 species of animals – including one of the few stable populations of greater prairie chicken – and at least 24 species of migratory birds. The soil has proved inhospitable to cultivation, but several generations of landowners have made a decent living raising cattle in this sea of grass and scrub. 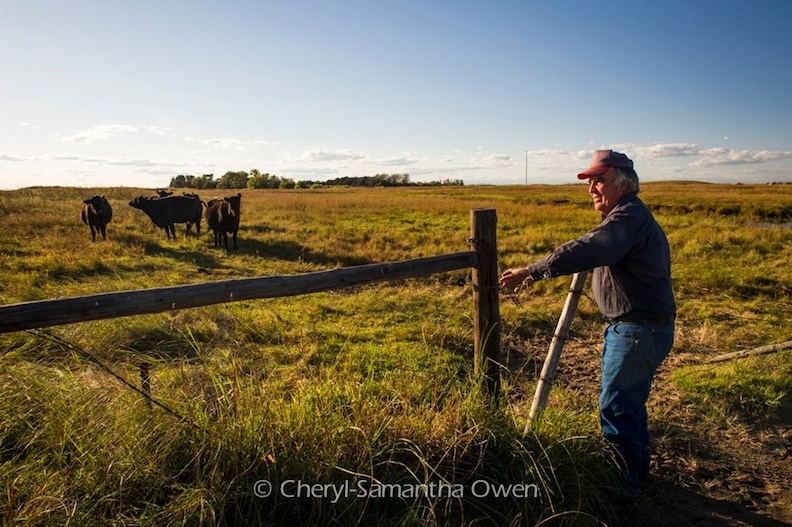 “If you get a spot opened up in the soil, it’s where the wind then keeps that sand moving and you lose all your vegetation there,” said Lynn Ballagh, a Nebraska landowner whose family has lived in the sandhills since 1885. “And they’re very, very hard to heal back up, just because the soil is so sandy. That’s what the farmers found out when they tried in places putting in pivots and growing corn. Read the full story on Planet Experts.